What Real Clients Have To Say About Robertson Curtis, Inc.
President, Trammell Construction Company Inc.
I’ve enjoyed completing many successful projects with Robertson Curtis, Inc., and look forward to working with them on future projects. You can count on them to complete projects on time and in a professional manner. 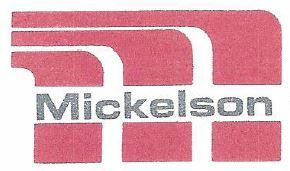 Vice President, Mickelson Construction Services, Inc.
Biggs Constuction Company has enjoyed a very positive business relationship with Robertson Curtis, Inc. for over 14 years. They have provided painting and wallcovering work for us in North West Florida and Baldwin County, Alabama. As a mater of course, Robertson Curtis has always been competitve, timely, and competent. They also have the resources to provide adequate manpower when the project needs change. We consider Robertson Curtis as one of our preferred vendors, and look forward to continuing partnering with them on our construction projects. President, Biggs Construction Company Inc.
Click One of the Following Links to Learn More About Robertson Curtis, Inc.